Tobias Gagesch (on the right side) with his mechanic Claus Denzel at the Euros 2018. 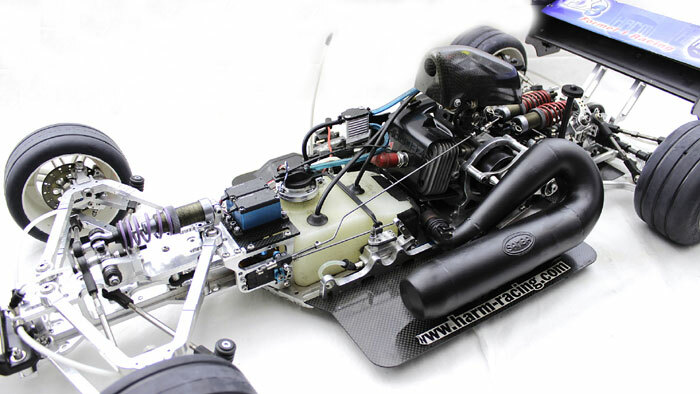 The pictures show the chassis ready to race, as it was used at the European Championship 2018. Some parts on the pictures are not included! 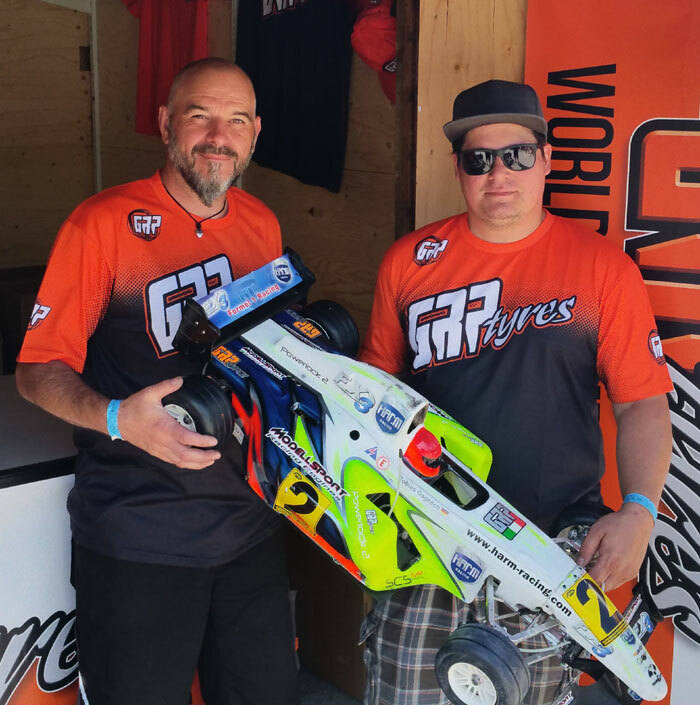 After the prototypes of the new FX-3 chassis have completed some races very successfully during their test phase, the chassis is now in production. Many detail changes were made to the tests until the performance of the FX-3 chassis convinced us. 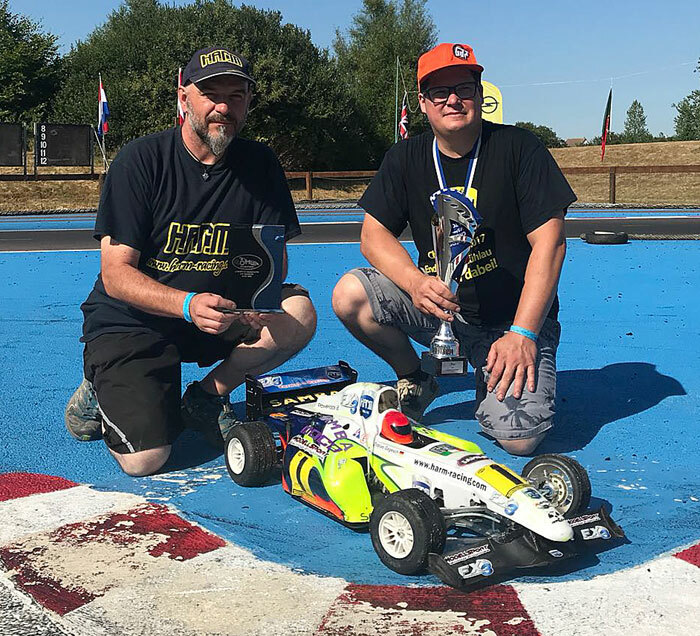 It is not without pride that the result of this work is the pole position and the Vice European Championship title at the 2018 European Championship. The FX-3 chassis is similar to H.A.R.M. Racing usual made exclusively from high quality 7075 T6 aluminum. 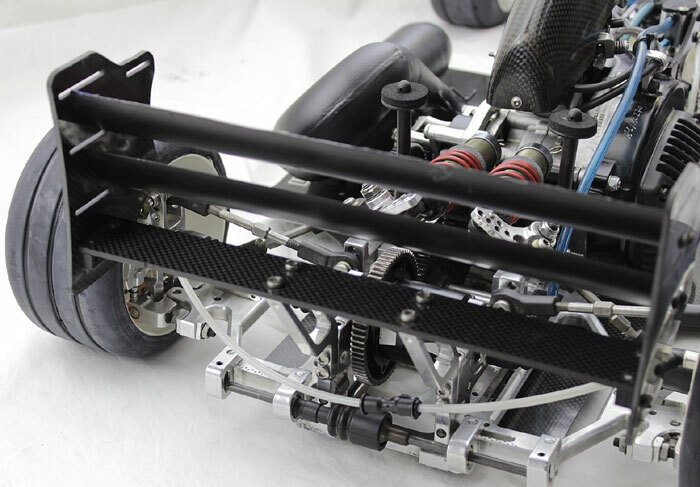 - The front axle is designed as a single frame. As a result, long wishbones can be installed for optimum driving stability. - The roll center on the front axle can easily be changed over the cones. - Servosaver and Spustangen are freely accessible. - Self-centering engine mount and engine mount as known from the SX-5 Touring Car. 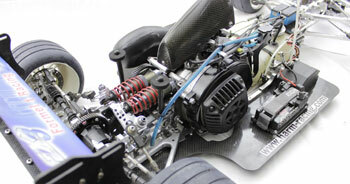 - Easy installation of the engine. 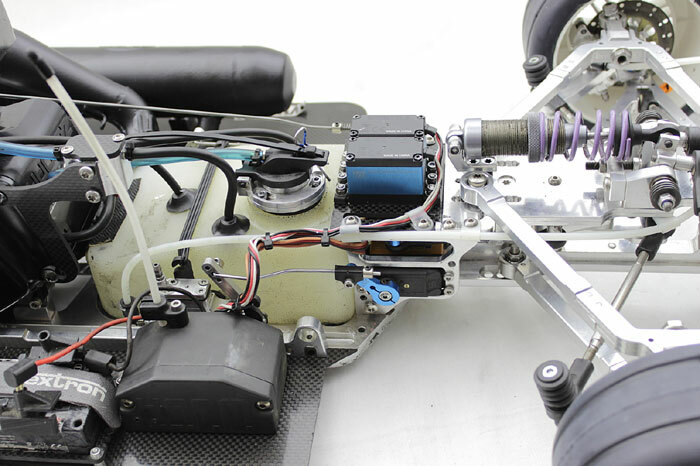 - Engine installation position and fuel tank as low as possible to lower the center of gravity. - Rear axle with a normal ball stabilizer like a touring car model. - The differential is freely accessible and can be disassembled with only 4 screws. - Normal steel gear drive with many reduction options. 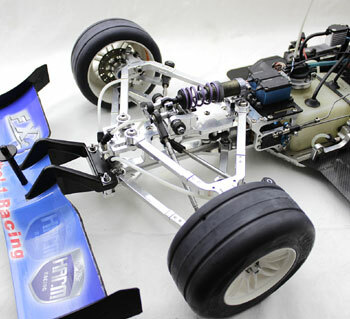 The FX-3 chassis comes as a chassis kit. That is, the chassis including hydraulic brakes front and rear and Big bore shocks with damper springs. Small parts for the articulation of the servos, receiver box etc. are also included. 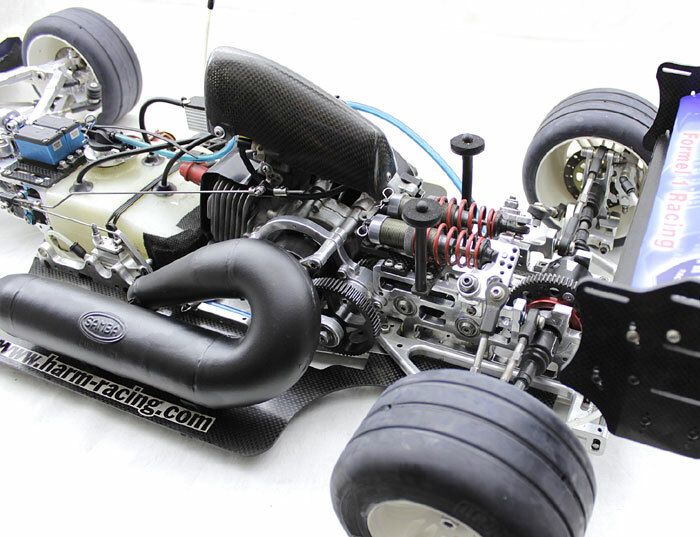 Buy a HARM FX-3 and receive a FREE Bodyshell, Front Wing and Rear Wing.